Windermere Garden Club will be meeting on Thursday, Sept. 13th at Windermere Town Hall for our first GENERAL meeting in the 2018-2019 club year. As always, new members & visitors are welcome! You do not need to be a Windermere resident to join our club. 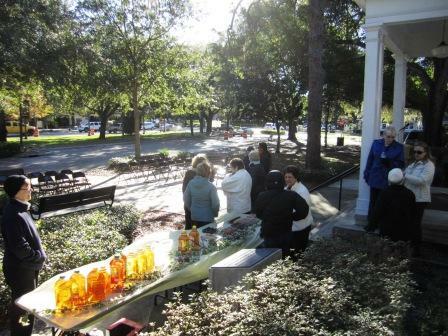 Our 2014 Florida Arbor Day tree planting was on Thursday, Jan.17th in front of Windermere Town Hall. We planted a Florida native cedar tree which will be used by the Town of Windermere as an outdoor Christmas tree going forward. The children of Windermere Union Church’s Preschool performed again this year and helped mulch the tree. Special thanks to everyone who helped make this a great tree planting especially co-chairmen Jackie Rapport and Peggy Collins. 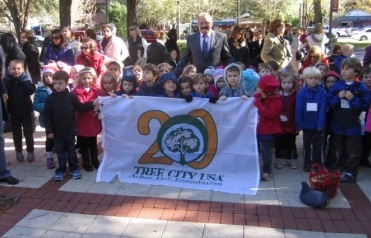 Windermere Union Church Preschoolers with Windermere’s 20 Year Tree City flag. 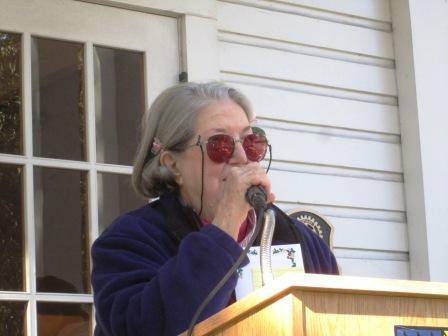 Co-Chairman Jackie Rapport at the microphone. 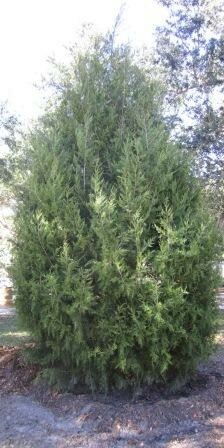 Florida Native Cedar Tree we planted. Before the meeting and during the break, our club photographer, Donna Ditges, set up a mini studio and took professional headshots of all members for the 2013 Yearbook. All members who had their portrait taken can find their photos on Donna’s website. The password to enter is “garden club” with no quotes and all lowercase. Click on this link: Foto Flix Photography. If anyone has trouble getting onto the site, please email Donna at donna@fotoflix.net. These photos will be published in the 2013 Yearbook only and will be removed from Foto Flix Photography’s website after the April meeting. If you want to use a different photo in the 2013 Yearbook, please notify Maureen Tuber before July 2012 and provide a digital photo you would rather use. Our speaker this month was JoAnn Gatlin, Master Gardener and the topic was the Master Gardner Program. Thank you to our Hostesses, Colleen Casey, Darlene Lohse, Tanya Chesire for wonderful snacks and coffee.